In PCBs manufacture, it’s required to handle very carefully the printed circuit board, due not compromise the work done so far, and to avoid the risks of the chemicals used in the process. 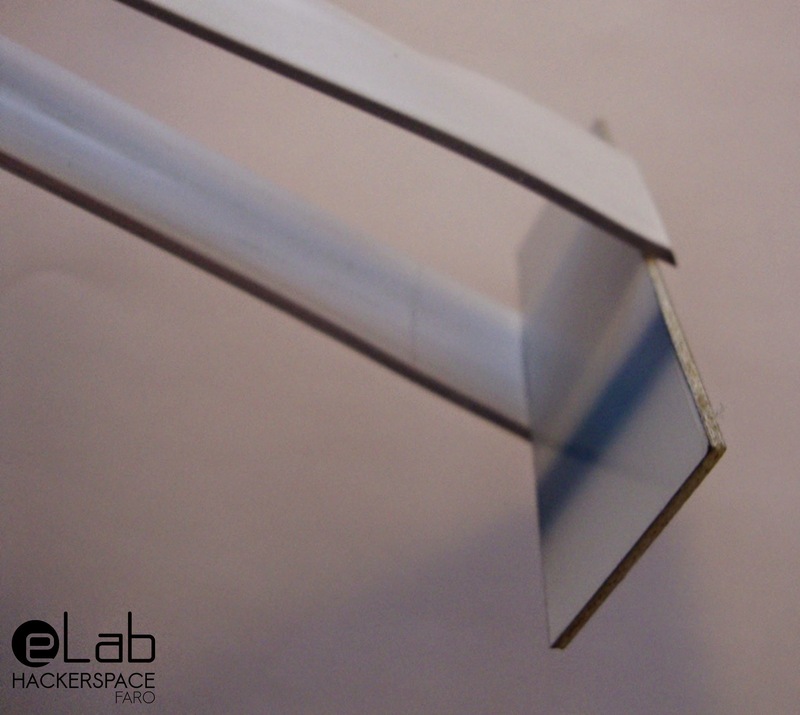 One of the tools used in the manufacture process of PCBs are the tweezers. These can not be in metal material, because the perchloride of iron, is a metal corrosive. 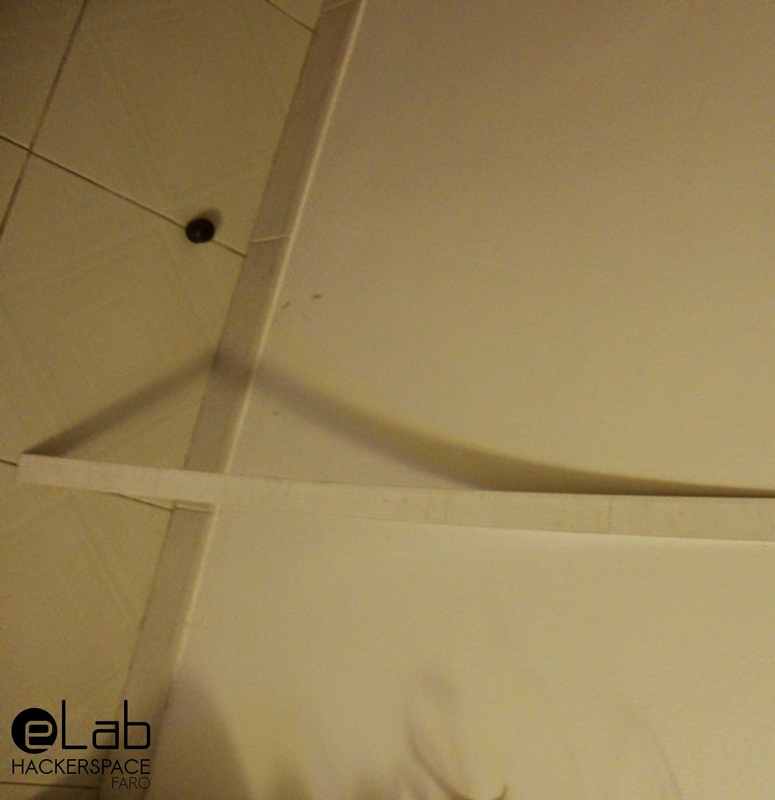 eLab leaves here a suggestion, of how to make various sizes of tweezers. 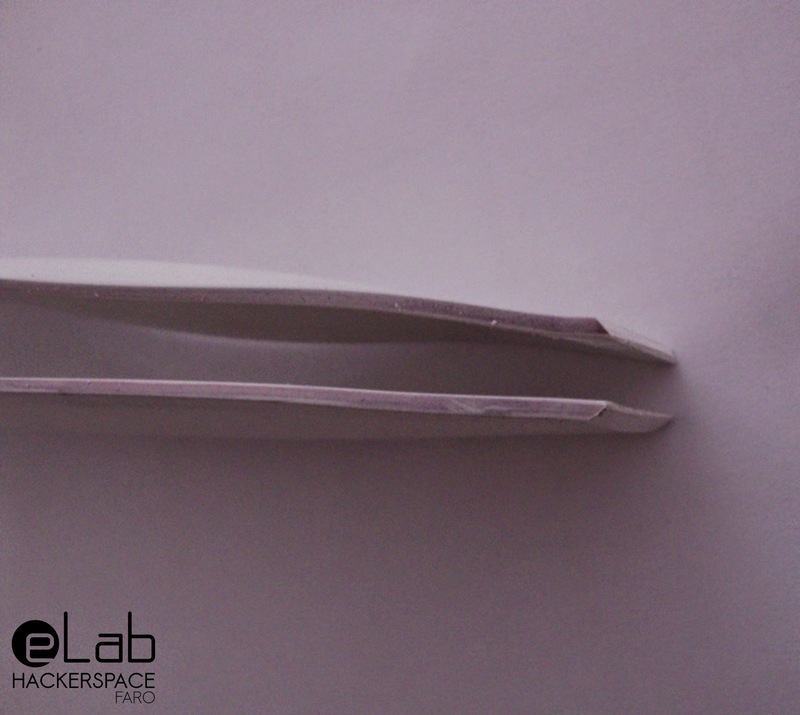 From a PVC strip, and the help of a hot air gun, we can mold the PVC in the form of a tweezer. 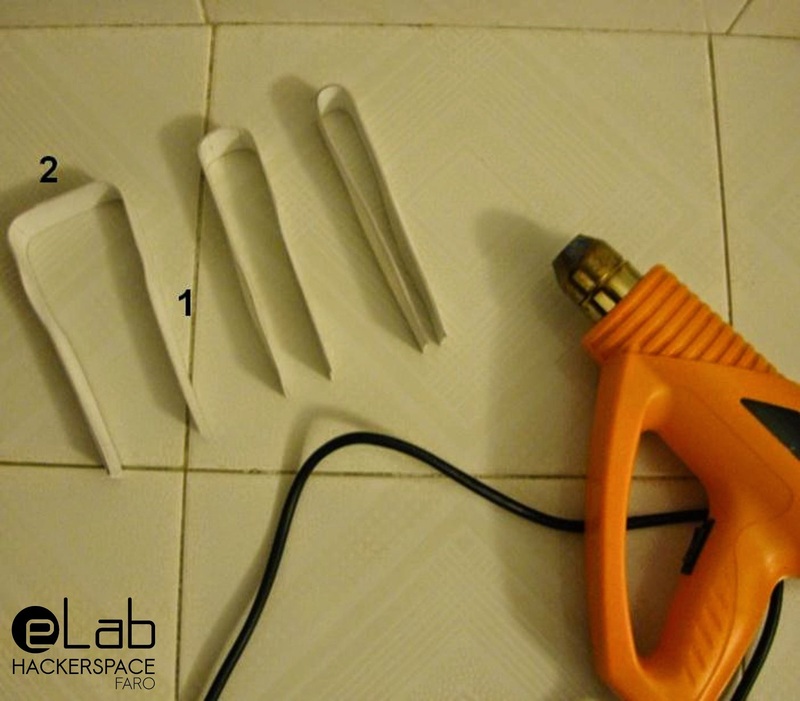 Now use the hot air gun, pointing to the place where we want to shape, at 10 cm of distance. 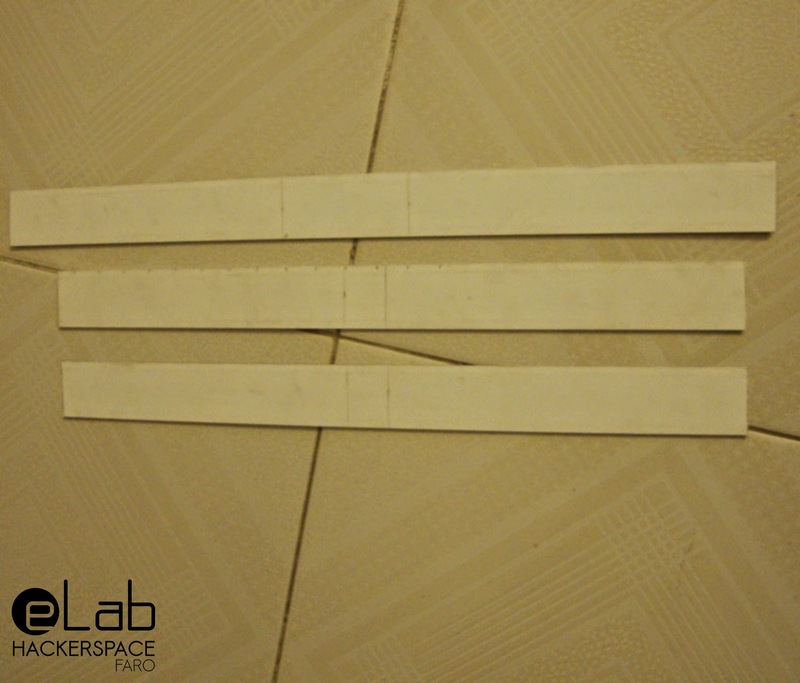 Start by making a fold in each side (1) and then the middle fold (2). We should let the material cool down, in the interval of each fold. The side fold serves to reinforce the tweezers. Finally, we turn to heat only the tips of the tweezers and press them, so the tips become more parallel as possible. 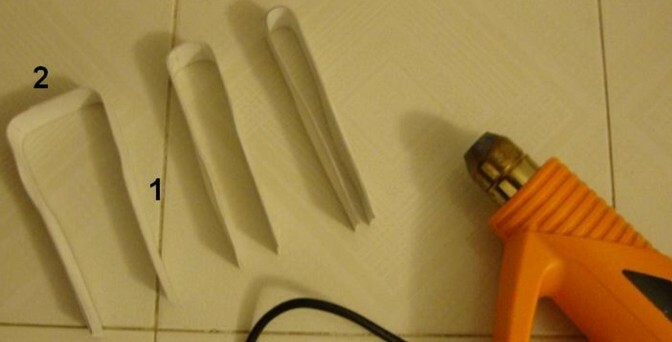 With a metal grinder, chop the tips to create a 45 degree angle. After this process, we get another important tool for the PCBs manufacture.